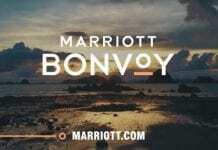 If you have been reading this blog, I already mentioned that Marriott is rebranding the combination of SPG, Ritz-Carlton and Marriott Rewards as a single entity named BonVoy. So far, Since August 18, I can see what is coming for me. I am used to being pampered as per SPG norms and everytime I goto a property that wasn’t ever participating in SPG – the treatment feels slightly different. As Example, I would never see a welcome snack if I am staying with Marriott brands such as Renaissance, JW Marriott or Autograph collection hotels. They give me a little bit hard time for upgrades when out of Asia. As you might expect, Marriott Rewards Moments and SPG Moments (the experiences marketplaces) will become Marriott Bonvoy Moments, and it will be accessible at this link.